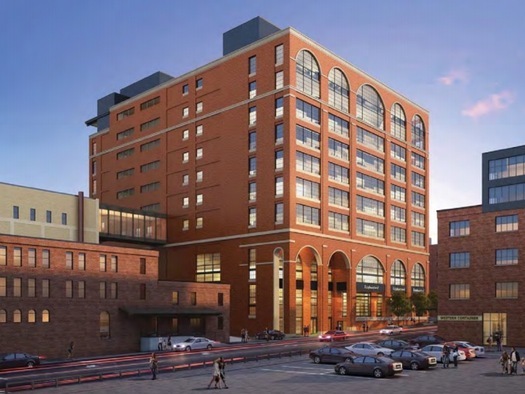 A North Loop office building will likely have to be smaller after the Minneapolis City Council approved a resident’s appeal that it was not appropriate for the neighborhood. On Friday, the City Council voted that developers CPM Cos. and Swervo Development need to make changes to their proposal to build a new building atop a surface parking lot at 419 Washington Ave. N. The City Council approved without discussion the appeal that was introduced the week before at a zoning and planning committee meeting. North Loop resident Jerrit Bromley argued that the building did not fit the rest of the neighborhood because it was taller than other nearby structures and it failed to meet height guidelines for that section of the historic Warehouse District. At the committee meeting, staff said the building is actually 15 stories under the zoning code definitions of height and stories though a casual observer would think it appears to be 10 stories. The maximum allowed is 10 stories. The developers are in the process of discussing next steps with the city, said Dean Dovolis, a principal at DJR Architecture, which is working on the project.